All the Gospel accounts of the crucifixion include Mary Magdalene as one of the group of women who waited at the foot of the cross. Symbolic references to her grief and the crucifixion include the willow tree and the crown of thorns. 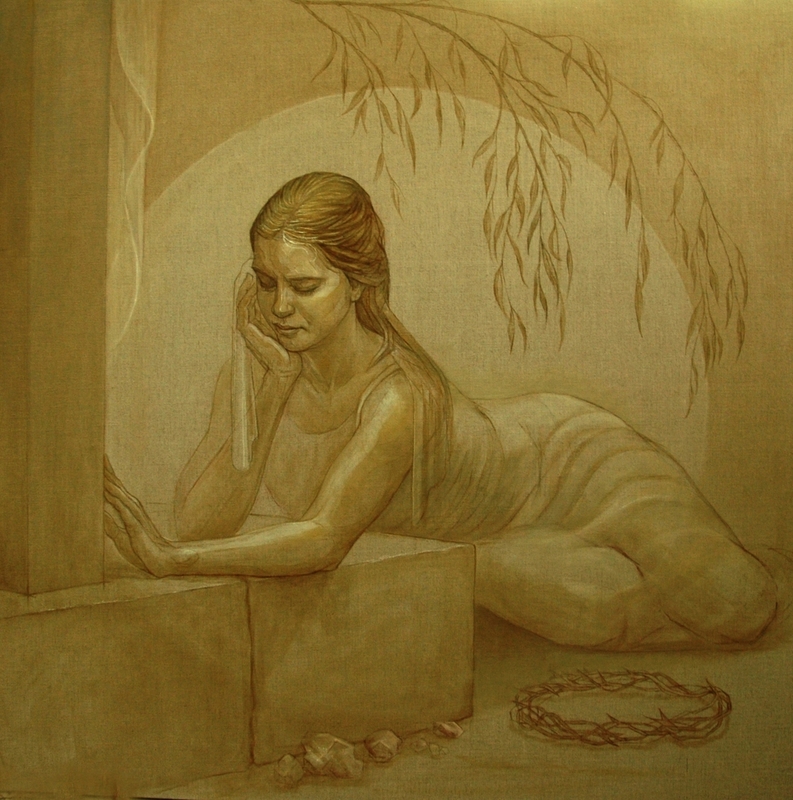 Oil in sepia tones and white on raw linen. 7" x 7"9.125" x 9"11.125" x 11"13.125" x 13"16.125" x 16"